The basic plot is this: sixteen-year-old Princess Bernadette, as her royal obligations grow ever more demanding and the date of her marriage to an unknown betrothed draws closer, begins to wish she could escape from her position as crown princess of Berklesgilands. Fortunately, her jolly father, King Frederick, has a plan that will cure the most restless royal! “Would you like to try an experiment, my daughter?” he asked, a mischievous expression crossing his face. “What do you mean?” Bernadette asked, suddenly alert. She liked it when her father looked like that; it usually portended something in the realm of fun or excitement. A dream come true indeed! Bernadette can scarcely believe the generous offer. But there’s a catch, of course. On this wondrous journey she will have to put up with her teasing, slightly bossy cousin Pete as a travel companion. “Oh, Father, why? I don’t want him,” she protested, glaring at Pete as irritably . . .
“Afraid I’ll cramp your style, cousin, is that it?” he inquired teasingly. “Yes,” returned Bernadette, too much ruffled to say anything other than the absolute truth. Despite Bernadette’s initial reluctance, the two cousins set off in disguise—and they soon have more to worry about then their little squabbles, as they encounter bandits, battles, gypsies, and floods along the way. Most annoying of all to Bernadette is the pesky Black Knight, Colin, who dogs their footsteps at every turn, causing Bernadette to panic that he will penetrate their carefully planned disguises! Furthermore, he buys the beautiful mare Midnight, whom Bernadette had set her heart on purchasing, and refuses to sell her. “Indeed? And what if I don’t wish to sell?” the Black Knight’s eyes twinkled mischievously. Bernadette was not amused. When you are accustomed to having completely unrestricted access to all the horses in the Royal Stables . . . it is rather difficult to immediately come to terms with the fact that you cannot always have whatever you want simply because you want it. And when an uprising along the Berklesgilandian border forces them to accept Colin as a traveling companion, Bernadette can barely restrain her indignation. A beautiful young gyspy maiden, Esmeralda, also joins their little band; but as she and Pete are always at sword points, this only adds to the turbulence. Gradually, the danger that they must face together begins to break down their prejudices, but then the unrest at the border escalates into a war that puts not only their lives but their newfound friendships in jeopardy. Will the foursome be able to make their way across the border safely? And will Bernadette be able to find both her true destiny and her true love? Read Bernadette: Princess Under Protest to find out! We have a special recipe for our refreshment today, the pancakes that Colin makes for the others during a specially trying time in their journey. They are made with almond meal and spelt flour, an ancient grain that was very commonly used in the Middle Ages. 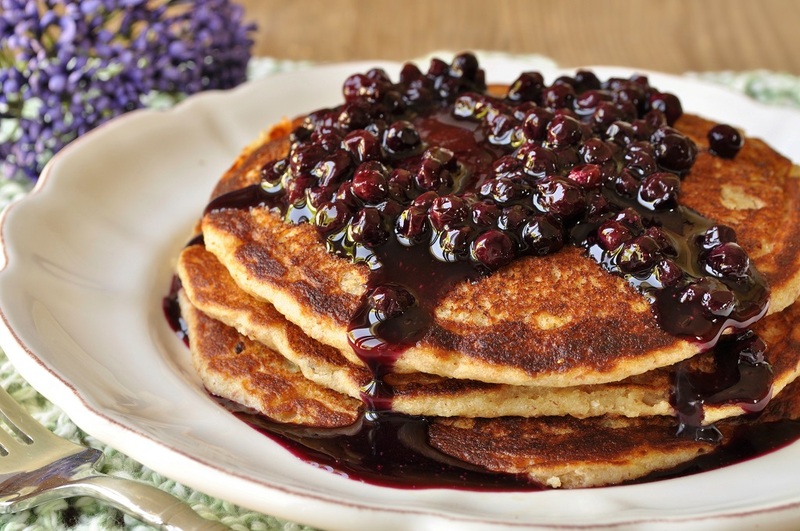 And as the travelers would not have been able to carry eggs or milk with them, the pancakes use yogurt instead and are sweetened with honey—they wouldn’t have had white sugar! 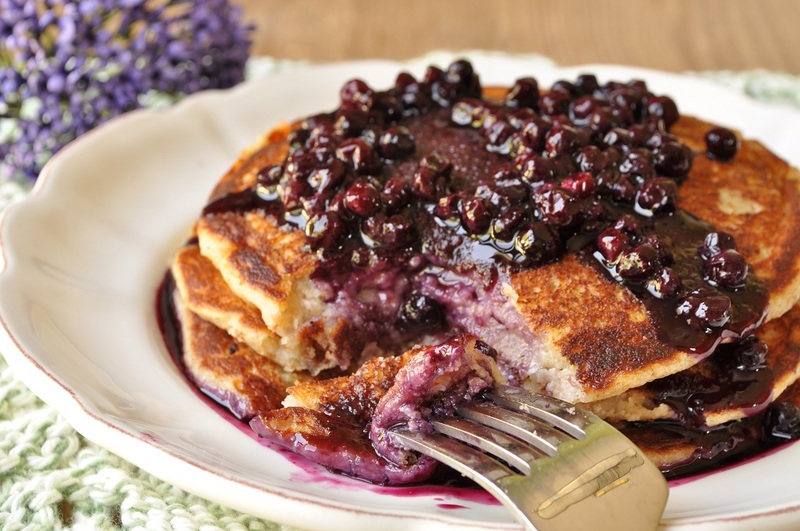 Then serve the pancakes with a wild berry sauce, just like the one that the four friends might have prepared from the berries that Colin and Bernadette gather on the first morning when they confide in each other. Scoop ½-cup portions of the batter onto the preheated griddle and bake until the cakes are well-browned, 5-8 minutes per side.